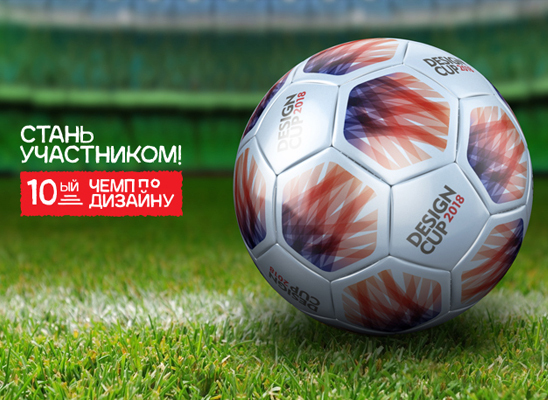 Organized by design.kg the Design Cup 2018 started at the end of May with a large selection round. Anyone can participate from any country and any age! The qualifying round consists of two assignments: the first task is “football” and very free on performance. It started on May 23 and works on are accepted until June 23. The second task is not yet revealed, and will start on June 23. Based on the results of these two games, the jury will select the best works and create a short list of nominations. The top 56 authors will be invited to be part of the group that competes at the next stage of the championship. This competition will be conducted online, under the evaluation of fans, experts and amateurs designers. Passing the qualifying round guarantees the participant the opportunity to play at least two interesting games in the group round , having passed on-line drawing on the site itself. The participant will fall into one of 8 groups, with whom exactly he will play with other participants – our “branded” online draw will determine. The participant will have the opportunity to be among the winners even after the results of these two games, be noticed both by a steep design jury and by our spectators: studios, agencies and potential clients. With a successful game and the release of the next round, new opportunities will also open, the percentage of chances to win in nominations and in the whole tournament will increase. The best designers are awarded in 10 nominations, are invited to the DesignCup Awards and accompanying events. And of course this is a useful experience and a fan-process from the game itself, communication and frenzied excitement! 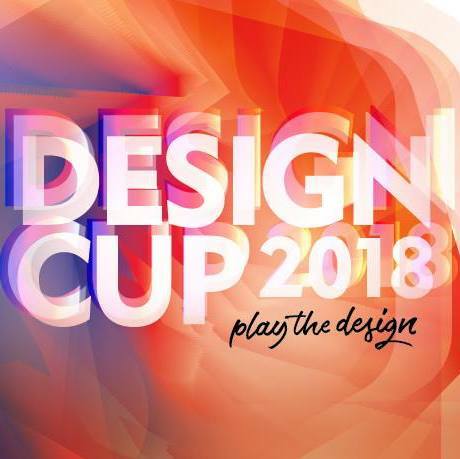 Participation in DesignCup is free! a poster dedicated to any of the 32 teams participating in the FIFA WORLD CUP RUSSIA 2018. You can choose any team that you either sympathize with, or you are interested in making your poster for this country. The participating countries of the 2018 word cup championship in Russia. The theme is free in terms of choice of style and method of embodiment. Illustration in any style, collage, graphics, minimalism, typography, photography, 3D, or a mixture of something: choose the realization that you are strong in, or what you want to try to embody this creative theme. There are no restrictions on the color, amount of information and accents, you yourself can come up with a sub-context for your poster. Do not forget only that you have a national football team playing at the World Cup. Try not to use someone else’s work in your design. Just to assemble ready-made vector sets, cut an effective photo of a football player or use the official symbols of the championship as a basis – will not be positively evaluated by the jury. The use is not forbidden, but remember – it is your own solution (your own illustration, picture, graphics, font or something else) will be more benefits than just a neat assembly of other people’s images. Do not be naive: template ideas and images, such as spectacular silhouettes of football players, balls, fields and flags of countries – are likely to be boring for a creative poster design solution. You can certainly benefit from a masterful performance, but the idea and the author’s view: one of the criteria for judging the jury in this round is the poster design masters from other countries). Execution. Do not forget, whereas for a regular spectator your poster will probably be “not bad”, the design jury will need to “surprise”, bold experiments, original technique, ideological and graphic basis – can be advantages, before, even if neat and flawless, but “unsurprising” solutions. Look at exhibition posters from any of the graphic design events, any international poster exhibition before creating your poster. Perhaps you will not even have a good idea, or, it will not be necessary at all, if you create an interesting visual solution. Vertical. 2000 px in height. JPG, RGB. Works are accepted from May 23 to June 23. “Football poster”, state your name-surname in your email.